Holiday card for furtopia - traditional and digital artwork - Furtopia | Family Friendly Furry Forum and IRC Chat! 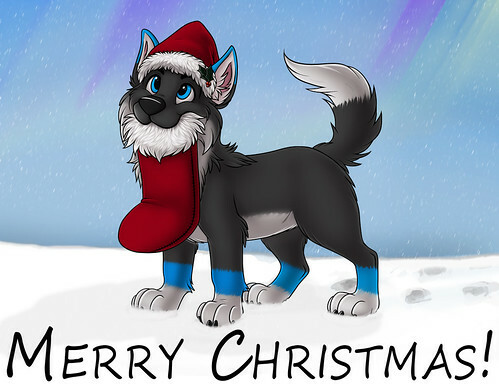 Here is a holiday card for furtopia. It is old, but sometimes holidays feelings are best when they are nice memories. That's a lovely card, OldRabbit; hope you have an enjoyable holiday. Thanks for posting the nice holiday card Sciex. Well done.